This Is Nokia 108 mic solution. 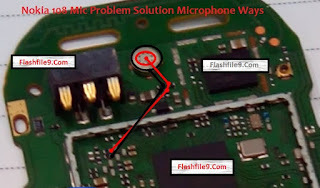 I will share with you how to solve your mobile phone mic problem. sometimes your Nokia 108 mobile phone water damage and device mic are not working properly after change mic. This post I will show you Nokia 108 mic ways for solve this problem easily. 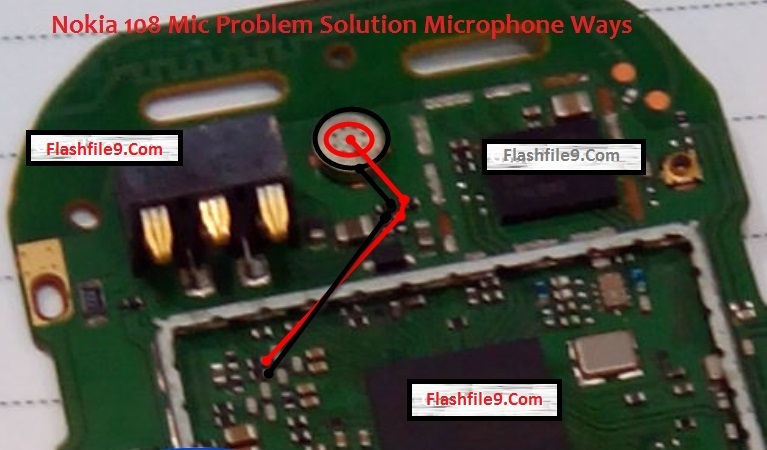 you change more microphone but the device is still not working so at this time if you want to fix your mobile phone mic problem check this red and Black color line follow this image. if you short any line you just connect this line using the copper coil. if you follow this image you can learn how to Nokia 108 mic jumper. just remove all of the components and connect using the copper coil. it's working 100%. sometimes your phone fails down and showing the Nokia 108 mic problem. so if you get like the same problem any phone you need reshouldring your device motherboard using the hot gun.